The first gypsum without calcination and used directly, primarily for regulating the cement condensation, smelting nickel, bean curd solidification, optical instrument, gypsum casting, etc. The second gypsum plaster by calcining into, is used in building materials (plasterboard, gypsum plaster, etc. ), ceramic model, dentistry, chalk, handicrafts, polishing glass, bean curd solidification, etc. The forklift driver removes the gypsum ore from the quarry into the hopper in front of the crusher, and then the gypsum ore is crushed into the 20mm materials, which are later sent to the gypsum grinding mill machine by the hoist to be grinded into qualified gypsum powder (raw gypsum). 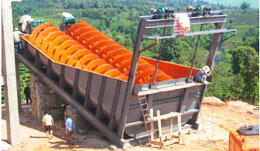 SBM can supply jaw crusher, impact crusher, cone crusher for gypsum crushing. 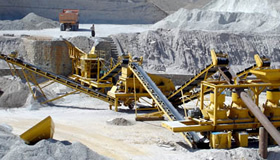 About 30 million tons, kaolin reserves distributed in Nigeria multiple areas. 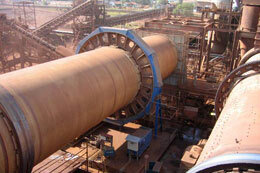 Gypsum powder making process line uses advanced processing equipment such as ball mill, roller mill, etc. 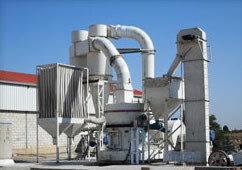 The gypsum grinding mill machine has the advantages of compact size, simple structure, high productivity, low energy consumption, stable physical performance, ease of operation and low operating cost. Today, our gypsum powder production line is well received in USA, Canada, France, Germany, England, Spain, Iran, Pakistan, Thailand, Australia, Thailand, Uzbekistan, Colombia, Mexico, etc. SBM can produce gypsum powder production line with output ranging from 0.3 TPH to 100 TPH. Raw Gypsum is an evaporating mineral most commonly found in layered sedimentary deposits in association with halite, anhydrite, sulfur, calcite and dolomite. It is majorly used as a finish for walls and ceilings. In addition, Raw Gypsum Mineral is utilized in cement industry, paint fillers, soil conditioner and fertilizers, and soil conditioners and as a binder in fast dry tennis court clay. If you need to konw more information about gypsum beneficiation and mining, click Here to chat online.